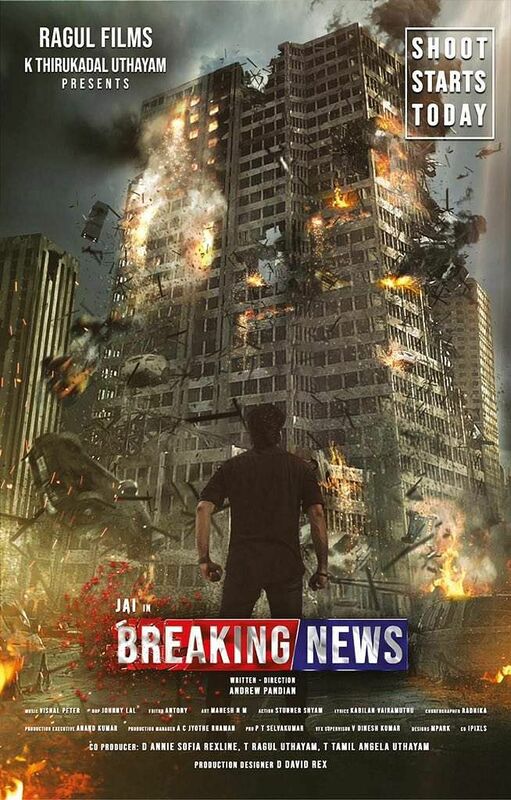 The first look of Jai's superhero film, Breaking News is here! The film will be about how a common man turns superhero to "transform India into a paradise"
Jai, who was last seen in Jarugandi, will play a superhero in debutant director Andrew Pandian's fantasy drama, titled Breaking News. The first look poster of the film was released on social media today. The poster features Jai, standing with his back towards the camera, looking at what appears to be an exploding building. 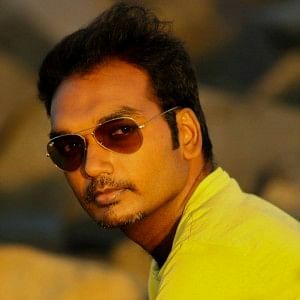 Andrew, who has worked as a visual effects supervisor in more than 90 films, including Anniyan and Mudhalvan, says that his dream was to become a filmmaker right from his childhood days. "I had always wanted to make an indigenous superhero film, like Spiderman, in the Indian scenario, which does not compromise on nativity and logic for the sake of effects. Breaking News will be a fantasy drama about how a common man turns superhero to transform India into a paradise." The film, which is said to involve ninety minutes of CGI, is produced by Norway-based producer, K Thirukadal Udhayam. With cinematography by Johny Lal and editing by Antony, Breaking News goes on floors on the 21st of this month in Chennai. An official announcement regarding the rest of the cast and crew is expected soon.